The Superstars are out and voting but who's for Barack Obama and who's for Mitt Romney? The big night is tonight, and the Superstar athletes we all love have been busy campaigning and voting for their preferred choice to occupy The White House and lead the United States the next four years. Who is voting for who? First, in the incumbent’s corner, Michael Jordan is not only the greatest living basketball player, he is also a known Obama fan, and has given his time and money to the cause. Some would argue Billie Jean King is the greatest female tennis player of all time too, and she is also a staunch Obama supporter. One of the hottest players in the NFL Giants receiver Victor Cruz hosted a fundraiser for President Obama. Chris Bosh of the Miami Heat kept the basketball theme going by attending a fundraiser for The President. Perhaps there is something in the fact that The President loves basketball, that is reflected in his incredible support among the NBA ranks. Lebron James, Carmelo Anthony, Vince Carter, Magic Johnson and Doc Rivers are just some of the big Obama fans in the NBA’s ranks. Yankees legend Derek Jeter is an ardent Obama supporter, as are Vernon Davis of the 49ers and MLB home run king (the real home run king) Hank Aaron. Even those who can’t vote are eager to voice their opinion, for example Manchester United’s superstar Wayne Rooney, who took to the social networks to voice his support for The President. 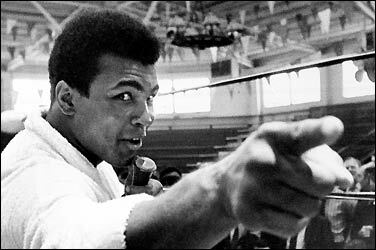 Above all perhaps, The Greatest has been a huge supporter of Obama, The President enjoys the support of Muhammad Ali, and that’s a serious endorsement! Now to the right, where Jack Nicklaus was seen rallying with Romney. Rockies first baseman Todd Helton is also a known Romney fan, and one of his youngest too. Wrestlemania CEO Vince McMahon has donated the legal maximum $2500 to Romney's campaign. There must be something about wrestling and Romney, as Hulk Hogan also support the Republican hopeful. Romney is also supported by Yankees ‘slugger’ Alex Rodriguez. That might be the kind of support he could do without, however. New York Jets owner Woody Johnson said in an interview with Bloomberg TV that Romney winning the election is more important to him than winning the Super Bowl. If the current odds against Romney winning and the Jets record in the AFC East are anything to go by, Johnson will probably not have to worry about either happening. Looking at the above lists, what stands out is the majority of famous athletes seem to be in support of President Obama. Certainly the younger ones, certainly many of the greatest of their respective fields, and, for what it’s worth, certainly the coolest ones!